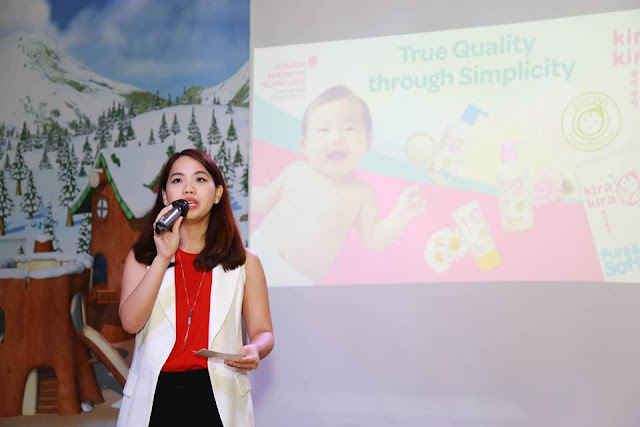 Recently in Oct, I was invited to the media launch of Kira Kira Baby Singapore! I was pretty excited upon receiving the invite because its at Pororo Theme Park! I haven't been to the Park before and this time, I get to bring Denicia along. 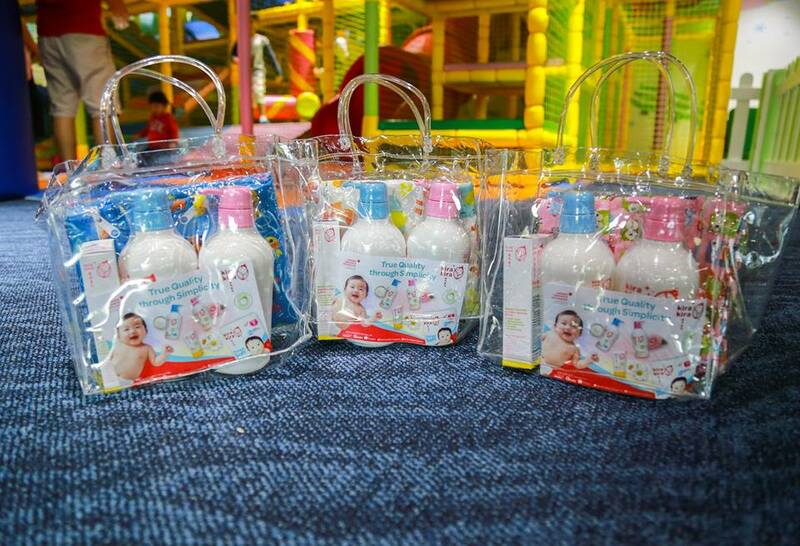 So thoughtful of Kira Kira baby Singapore and Ace Empire. On event day, we were all greeted by smiles at the registration and all of us were pretty excited on the program line up. Well of course, when the kids gets to play, the mummy will be happy. One of the program highlight was the Pororo train ride and an art & craft session where kids will learn to make a Halloween theme basket. Before all this activities, we were ushered to the event hall where we get to learn more about their products. During the close-door sharing session, Kira Kira shared details of all their products and benefits. 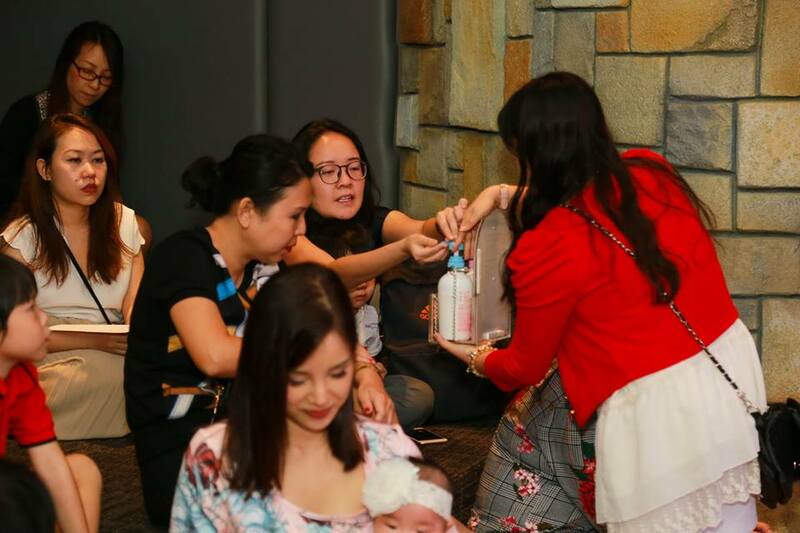 Products were passed around for us to feel the texture and a live test was done to show us how absorbance their diapers are. Although Dencia is 4, she is still on diapers at night. 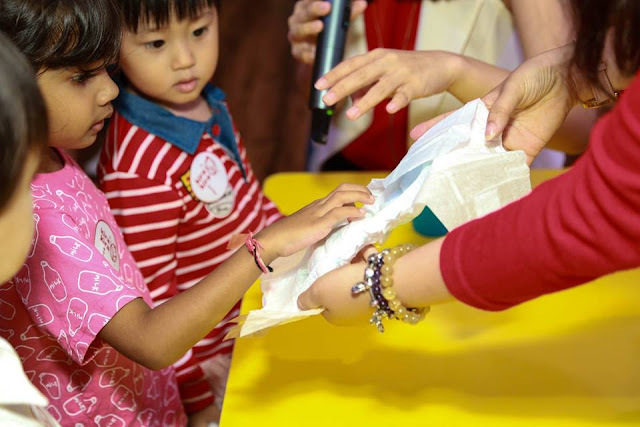 Hence when it comes to selecting diapers for her, the material and its absorption is most important. Kira Kira diapers are ultra soft and keeps the baby dry and comfortable! It comes in both pull-up pants and tape version, sizes range from newborn to XXL! The pull-up pants diapers has 2 layers of absorbency and has a soft & gentle fit at the waist and legs. It absorb fast because it has a magic dry bubble sheet. After the sharing session, coffee break was served next door and comes along with a photobooth. How thoughtful is that? We had about 2 hours of free & easy time where the kids get to enjoy all the rides and actitvities. And so, while the kids are busy having fun, the mummies get to spent some time catching up and taking pictures! And there's also pull-up diapers and a diapers bag! Thank you Kira Kira and Ace Empire! 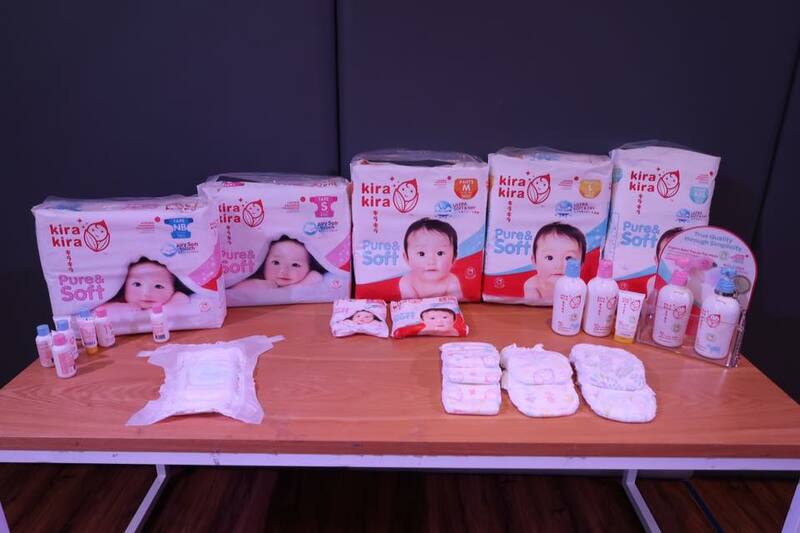 Kira Kira Baby Singapore is a Japanese brand developed and formulated with the safetly and comfort of babies in mind. They carry organic baby care products like; nappy cream, baby lotion, body wash and also, premium diapers. And of course, Japan is well-known for their technology, innovation and products!